One of our Creative Circles this fall will teach you something that’s not only creative, it’s easy – and it’s not only easy, it can do good for others! 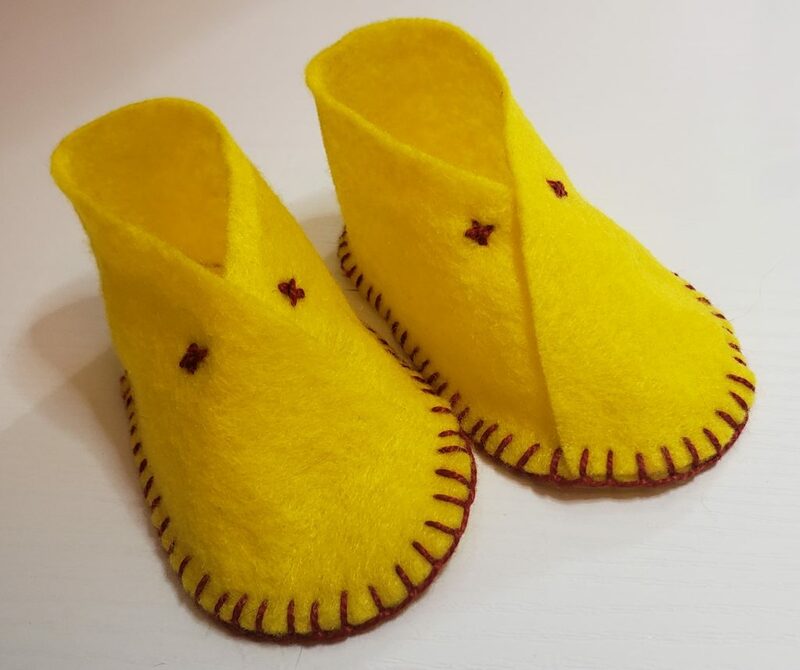 Loesje Shema, an alum from last year, volunteered right away when we announced we were adding a Creative Circles morning to Women At Woodstock 2018; she’ll share how to make these dear little “fortune cookie” baby booties. 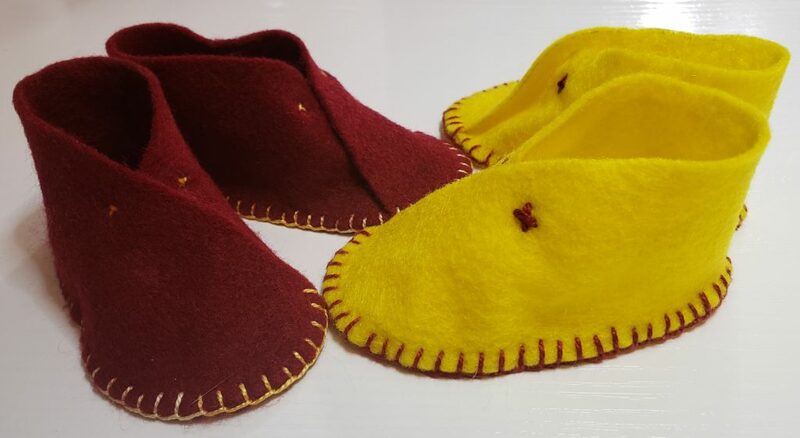 The booties make a nice gift for newborn babes, they’re easy to do (they fall into the category of “social handiwork” – meaning you can work on these while conversing with friends), and perhaps best of all, they’re a great item to donate to hospitals, women’s shelters, and other places where young mothers could really use some help. 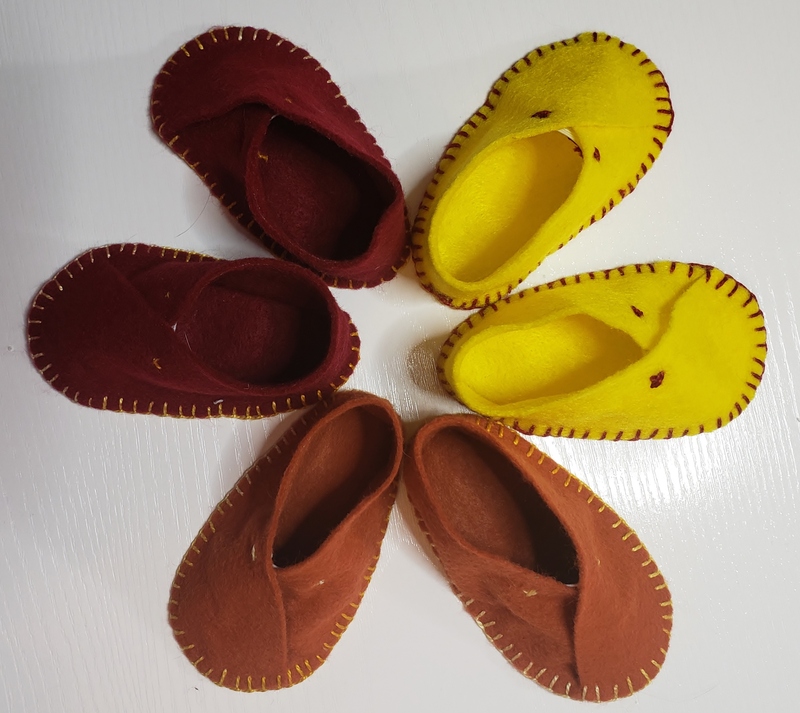 This entry was posted in 2018 Creative Circles, Ann's Blog, Creatives & Creativity, People at WAW 2018 and tagged charitable crafts, creative circles, felt baby booties, fortune cookie booties, women at woodstock creative circles. Bookmark the permalink.